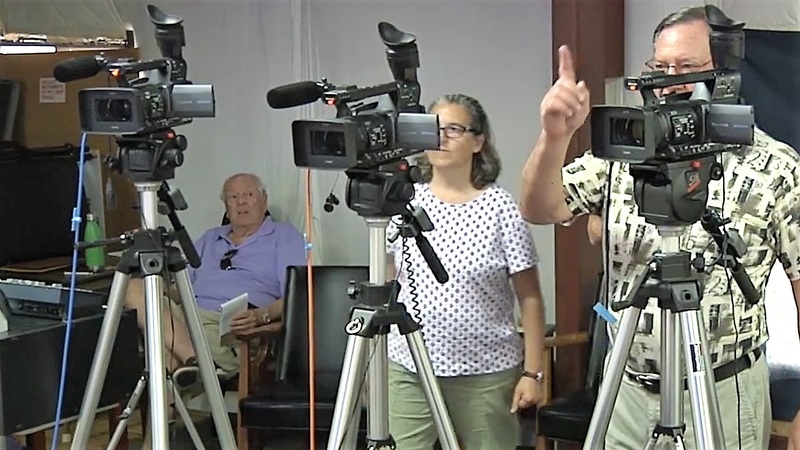 We are the Tellico Village Community Broadcasting Station, whose mission is to be a valued source of information, education and programming of interest to current and future residents and property owners in Tellico Village. We focus on the issues, activities and interesting people that characterize our Community. We are Tellico Village "centric"..."centric" because our staff is composed of Tellico Village residents who share your interest and concerns about what's happening in our Community and surrounding area. We're like your hometown newspaper - packed with content of interest to our residents and property owners. If you would like to submit a bulletin for your Club or Organization, click this Submit a Bulletin link. Charter/Spectrum cable subscribers can also watch us on Channel 193. Our staff consists of volunteers who operate cameras, edit video, write scripts, manage the station, IT support and on-air talent. The only requirement to be a TVB volunteer is to have a desire to be part of a creative team. Our volunteers range from people with broadcasting experience to those who have none at all. If you have an interest in joining us, we can train you. Watch this video to learn more about volunteering at TVB. Representative from Club or Organization who could suggest a video feature about your group. Better yet, why not partner with us to produce it? Act now! Why wait if you are thinking about being a TVB Volunteer? Contact Us today for more information on Tellico Village Broadcasting, or to become a volunteer.